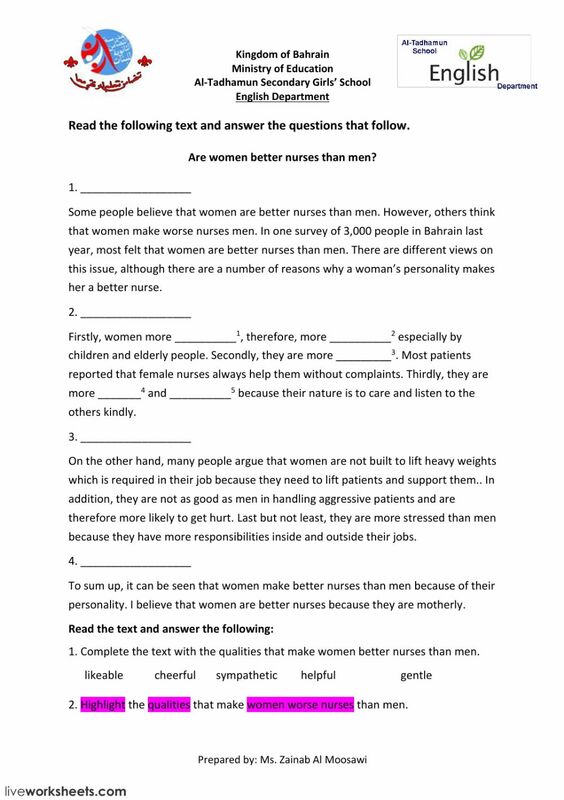 Live worksheets > English > English as a Second Language (ESL) > Essay writing > Are women better nurses than men? Are women better nurses than men? Copyright 10/21/2017 Zainab Al Moosawi. Publication or redistribution of any part of this document is forbidden without authorization of the copyright owner.